Extra pressure has been placed on Wigan Infirmary casualty after the downgrading of Lancashire health establishments, NHS bosses have been told. 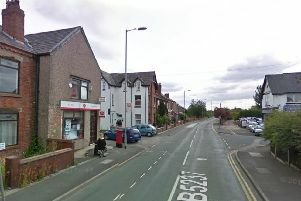 Chorley Hospital’s accident and emergency was controversially turned into an urgent care centre in January 2017, having closed as an emergency unit the previous April. And the West Lancashire NHS walk-in centres for Skelmersdale and Ormskirk also introduced reduced hours in December 2016, the Wrightington, Wigan and Leigh NHS Hospitals Trust board heard. Operations and performance director Mary Fleming said in a report that attendance from patients outside the Wigan area had been starting to show a slight reduction from October 2017 onwards. This was still believed to be “significantly high” when compared with recent years. But the trend had begun to show an increase to one of the busiest recent benchmarks in April 2017, she added. The board heard the number of bed days in the same category had fallen slightly though, for June. But there had still been a year-on-year increase in bed days with 2,316 extra recorded between July 2017 to June 2018, when compared with the same 12 months in 2016-17. Mrs Fleming added: “In the two years prior to Chorley A&E closing, the average number of beds per day used by out-of-area patients was 28, during 2017-18 and 2018-19 to date, this number has risen to 37, an increase of nine beds. Trust leaders have also been informed that out-of-area arrivals via ambulance had also increased slightly in May, to 321: the second highest total since April 2017. The four-hour waiting time target for A&E at Wigan Infirmary has improved in recent months though, with 94.83 per cent and 94.27 of patients seen within the benchmark, for June and May respectively. The target is 95 per cent. NHS campaigners fought the downgrading of Chorley Hospital’s A&E, which has also seen patients diverted to the Royal Preston Hospital.